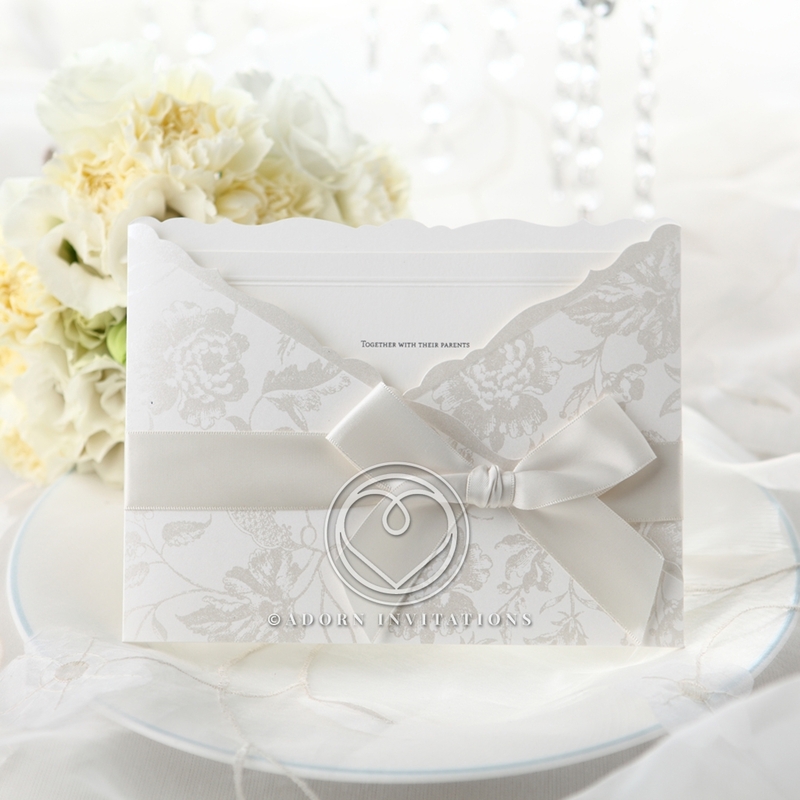 Your desire for a romantic wedding is perfectly represented with this beautiful pocket invitation. 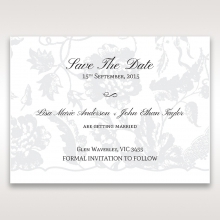 Printed in silk foil, the floral design makes this invitation perfect for a garden themed wedding, as well. 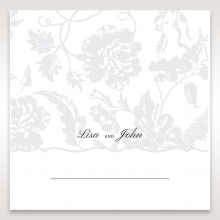 The envelope is scalloped delicately, and a satin ribbon wraps the package with a pretty bow. 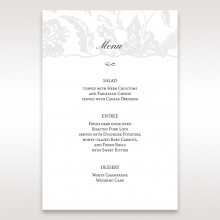 The insert is printed with your wedding details on mattivory, high-quality cardstock. 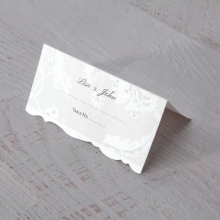 The printing is in B Wedding's signature raised ink method. 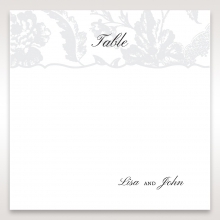 Don't forget the Stationery Suite, which provides RSVP, Save the Date, Place Cards, and more. These are watermarked with the same floral pattern found on the pocket. 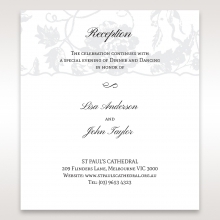 Cover PAPER: White with Silk Foil 200 GSM. Not Customisable. INSERT PAPER: Matte Ivory 200 GSM. Not Customisable. I ordered these invitations for my daughter's baptism and they didn't disappoint! So classy and elegant, every single one of my guests wanted to know where I got them since these are not your "regular" baptism invitations. I'm currently placing an order for my second daughter baptism since I liked them so much. Great customer support, the designers team was on top of everything and I received on time! 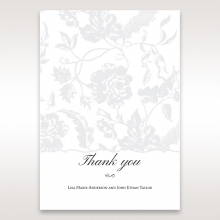 really an elegant card! My fiancee and I are very happy with the finished product. The customer service told us that it's one of their popular ones and I can see why... They were very attentive and made some great suggestions during editing. Recommended!! I just received my invitations along with the response cards and they are beautiful. Everything looks as it does in the pictures. I can't wait to send these out to my guests. Great invitation! Very happy with the product. 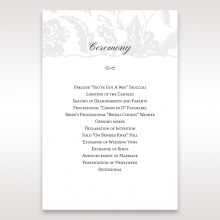 BWeddings was able to do thermogaraphy printing for this invitation. Amazing customer service! 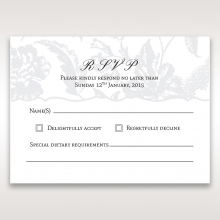 I had a very hard time finding affordable but elegant and unique invitations until I found this site! I absolutely love this invitation. It took a week and a half for proofing, printing, and delivery! I recommend this company and their products to other brides! these invitations are absolutely lovely. 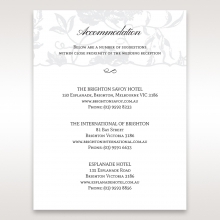 My wedding suite consists of the invitation, accommodation card, reception card and response card. I opted for the thermography printing. I had ordered a sample so I had an idea of what the invitations would like, but the actual invitations far exceeded my expectations. After receiving them, I am in love! And the customer service was fantastic! 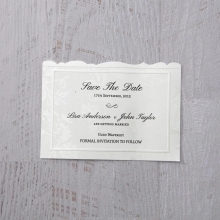 this invitation is very pretty in a subtle way, compared to other bright, flashy invitations. I ordered the blue layer for the invitation and I'm trying to get the grey for my Thank You cards. I'm awaiting a response from the designer. I hope they agree to make adjustments I asked. 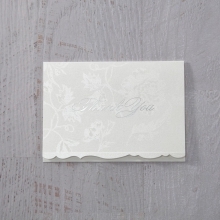 I love this romantic layered invitation. The design is classy and elegant, except I prefer without the ribbon. I love this wedding invitation! Top quality, reasonable price, and definitely one of the best online shopping experience! Beautiful wedding invitation with amazingly silky, soft ribbon. Superior craftsmanship on the embossing and printing. Fantastic product with great quality for the price! this Invitation is gorgeous! I ordered a sample and immediately fell in love with it! We are having a garden wedding in Florida and this invitation had all the elegance to it. I highly recommend! Very high quality and even better price. They don't charge you extra for the pearl papers either. Service was fast! My experience with this company was amazing. The customer service staff was really helpful and responsive. I was traveling and I needed to check some samples before making the final decision. The quality is amazing, the delivery was amazing and the customer service was amazing. 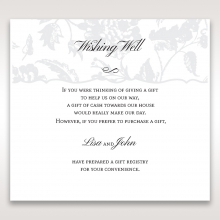 I really recommend this website to anyone who looks for elegant cards. It was an absolute pleasure to work with this company. The invitations came out beautiful and were of an excellent quality. they came out beautifully and looked super classy. Lettering was clear and looked exactly as I had customized them to be. I am very excited to ship these out!! I could not believe how elegant this invitation is in person. I was drawn to the beauty of it from the photos but it totally exceeded expectations when I got the sample and now Im totally in love with the final product. I'm so happy that I have running around town recommending this site for people who are planning their wedding. I have can't wait to see the reaction of my friends and family when they receive them. I'm just in awe in the overall quality of these invitations. I can't believe how amazing they turned out! Seriously this was such a stress free process for me. Me and my fiancee are happy with our choices and I highly recommend their services. My daughter and I were extremely pleased with these invitations. We both thought they were more beautiful than she expected. We couldn't be more pleased with the way they turned out.